This simplistic necklace is the perfect jewelry piece to emphasize your individual style! 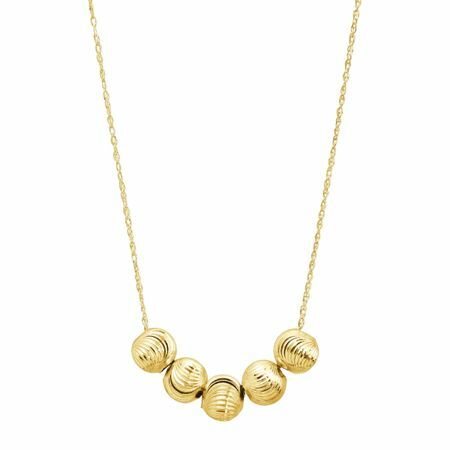 Five textured moon beads are strung along a 14K gold rope chain with a spring ring closure. Feature piece measures 3/16 by 15/16 inches with a total length of 17 inches.